Our V.P. 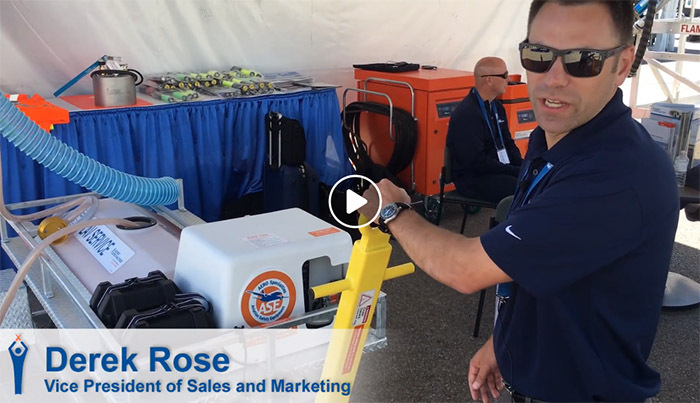 of Sales and Marketing, Derek Rose, took time out from the recent International Airport GSE Expo in Las Vegas to talk about the latest AERO designed and manufactured Safe-Lav electric lavatory service cart. The cart features a patent pending 3-gallon batching system to eliminate inadvertent overfilling of the aircraft lav system. Click below to view this video on our Safe Lav systems and click here to view our Safe-Lav products.